Here are the top ten most beautiful Earth photos taken by the astronauts aboard the International Space Station (ISS) in 2017. Which one is your favorite? Or if your favorite image was not listed here, please leave a comment below. 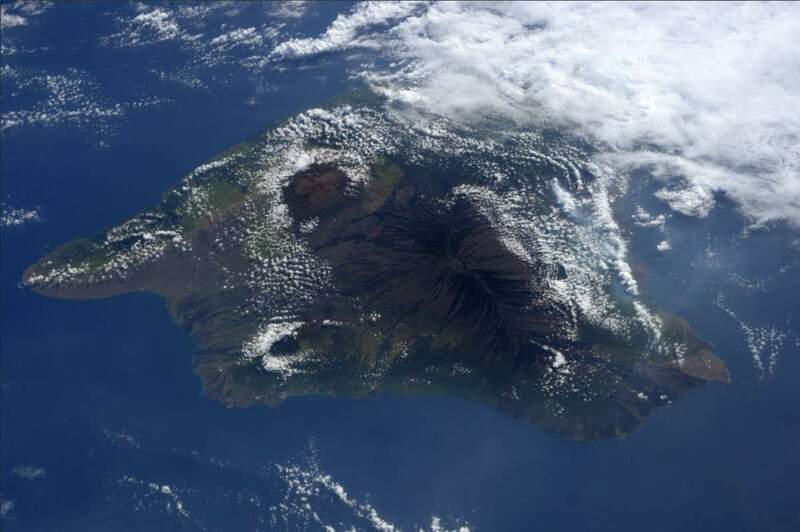 To see all images taken from the International Space Station and published by NASA, visit Space Station Images. Auroras, Sparkling City Lights, and the Stars. January 18. This long exposure photo taken from the International Space Station on January 18, 2017, as it orbits around the Earth provides a spectacular view of auroras, sparkling city lights and the stars filling the cosmos beyond. Docked Soyuz Over Gulf of Mexico and Florida. February 3. 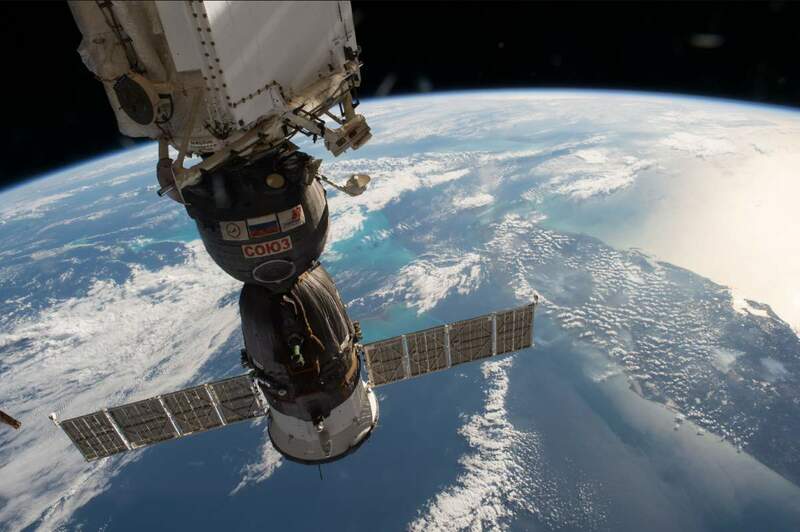 A Russian Soyuz spacecraft can be seen in this image from the International Space Station as it passes over the American state of Florida surrounded by the blue waters of the Gulf of Mexico on the west side and the Atlantic Ocean on the other. The International Space Station is constantly visited by manned Soyuz vehicles and other unmanned supply ships. One Soyuz spacecraft is always remains attached to the ISS to allow a quick return in an emergency. Sometimes, it is necessary to undock an attached Soyuz and redock it to another part of the station to make room for one of these new ships. Space Station Flight Over Venice. February 14. The reversed-S shaped water line in the middle of Venice is the Grand Canal (Italian: Canal Grande). 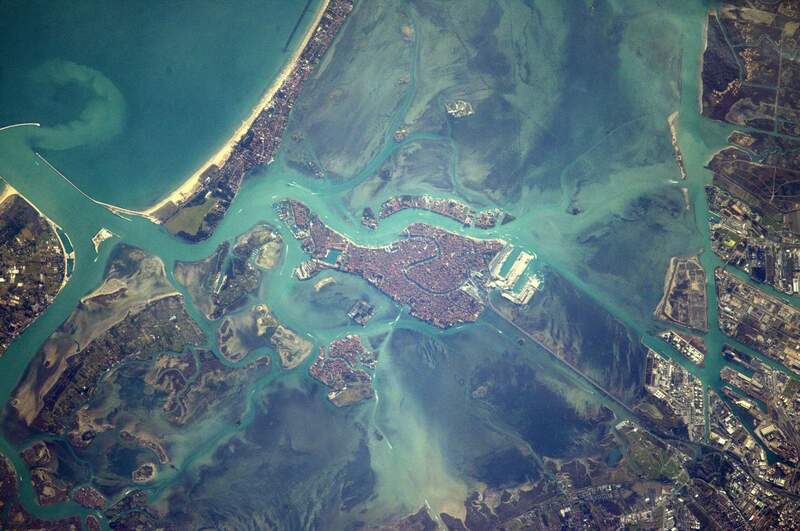 One end of the canal leads into the lagoon near the Santa Lucia railway station and the other end leads into the basin at San Marco; in between, it makes a large reverse-S shape through the central districts (sestieri) of Venice. It is 3.8 km long, and 30 to 90 m wide, with an average depth of five meters (16.5 ft). 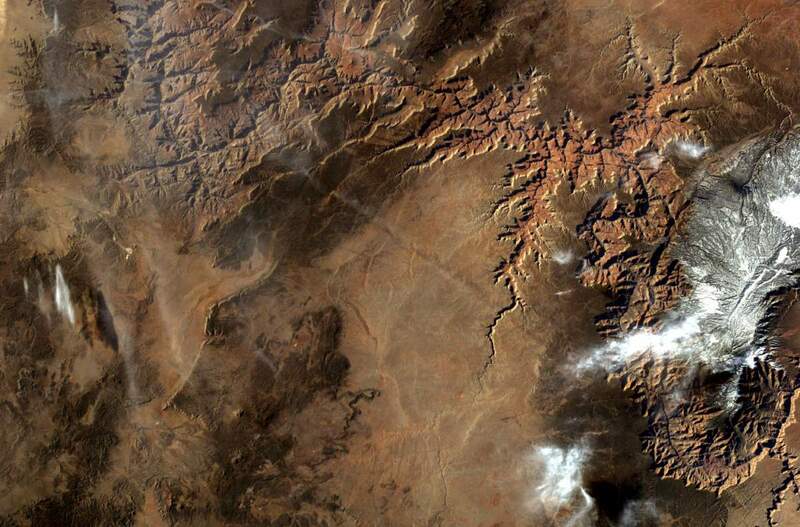 International Space Station’s EarthKAM Sees the Grand Canyon. April 3. On April 3, 2017, the student-controlled EarthKAM cameraNotes 2 aboard the International Space Station captured this photograph of a favorite target, the Grand Canyon, from low Earth orbit. Cygnus Spacecraft Above Florida, Bahamas and Cuba. May 10. In this photo, taken on May 10, 2017, the Orbital ATK CygnusNotes 3 cargo craft is pictured as the International Space Station orbits above the state of Florida, The Bahamas and the country of Cuba. Starry Night and Aurora. June 19. Expedition 52 Flight Engineer Jack Fischer of NASA photographed the glowing nighttime lights of an aurora from his vantage point in the International Space Station’s cupola module on June 19, 2017. Part of the station’s solar array is also visible. 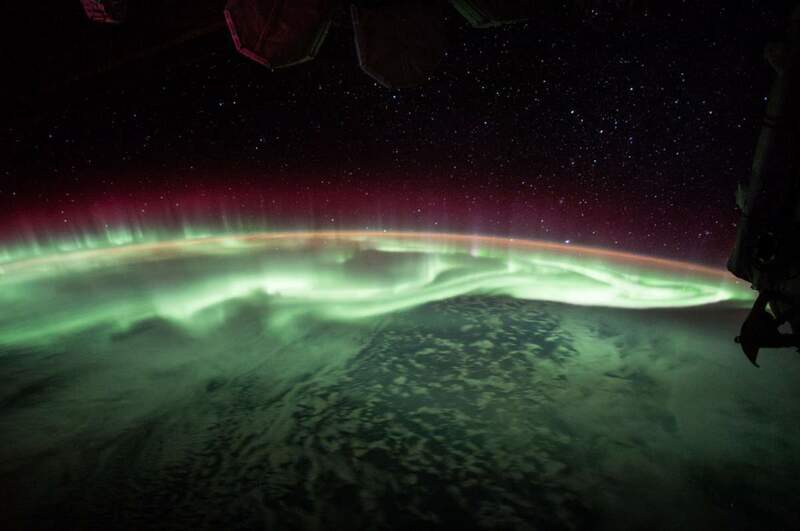 Watching the Aurora From Orbit. June 26. 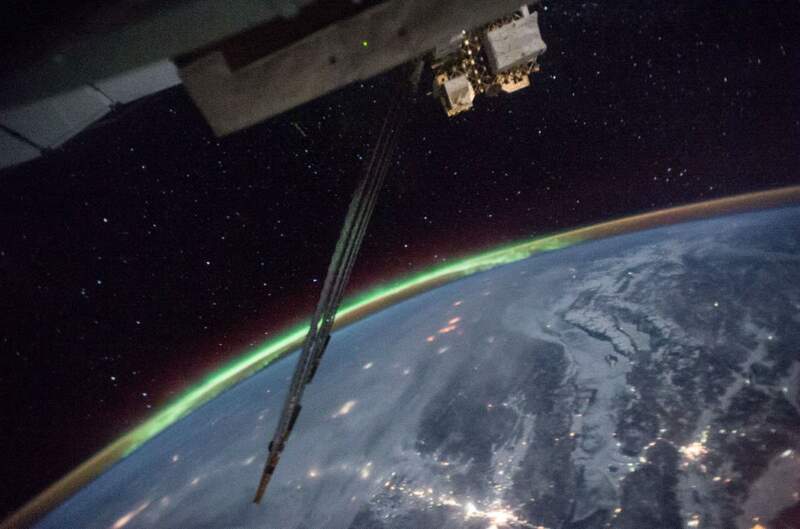 Expedition 52 Flight Engineer Jack Fischer of NASA shared photos and time-lapse video of a glowing green aurora seen from his vantage point 250 miles (400 km) up, aboard the International Space Station. This aurora photo was taken on June 26, 2017. The Eclipse 2017 Umbra Viewed from Space. August 21. As millions of people across the United States experienced a total eclipse as the umbra, or moon’s shadow passed over them, only six people witnessed the umbra from space. Viewing the eclipse from orbit were NASA’s Randy Bresnik, Jack Fischer and Peggy Whitson, ESA (European Space Agency’s) Paolo Nespoli, and Roscosmos’ Commander Fyodor Yurchikhin and Sergey Ryazanskiy. The space station crossed the path of the eclipse three times as it orbited above the continental United States at an altitude of 250 miles (400 km). In the photo above, taken by Randy “Komrade” Bresnik, the commander of the Expedition 53 (the 53rd expedition to the International Space Station) on December 10, we see Istanbul, the only intercontinental city on Earth and the biggest city of Turkey, the Black Sea, the Bosphorus, the Marmara Sea and Prince Islands (south is up). The Bosphorus is a strait that forms part of the boundary between Europe and Asia. The Princes’ Islands are a cluster of 9 car-free islands southeast of Istanbul in the Sea of Marmara. Big Island Hawaii. December 12. Randy “Komrade” Bresnik took this beautiful photo of Big Island Hawaii on December 12, 2017. Randolph James “Komrade” Bresnik (also known as Randy “Komrade” Bresnik, born September 11, 1967) is an officer in the United States Marine Corps and a NASA astronaut. In November 2009, he flew as a Mission Specialist on STS-129. He participated in the second and the third spacewalks of the mission. Bresnik’s two spacewalks totalled 11 hours and 50 minutes. His wife Rebecca gave birth to their daughter, Abigail Mae Bresnik on 21 November 2009 at 11:04 p.m. CST, while he was on orbit. I can’t believe that people still asking “why are there no stars when the astronauts take pictures from space?” or “why are there no stars in the moon landing photos” etc. Especially, conspiracy theorists (henceforth conspiracists) frequently point out that there are no stars in the Apollo photographs. The explanation is so simple: why you cannot see the stars in noon time? Or, when there is a full moon go outside and see how many stars you can find compared to a night when the moon is not out. You will see the difference. The stars are very faint and get washed out by the bright light of the moon. The reason why no or very little stars can be seen is because of the Earth. The Earth, when lit by the Sun, is many thousands times brighter than the stars around it. As a result the Earth is so bright that it swamps out most if not all of the stars. The truth is, as you can see some of the photos above, stars are sometimes seen in International Space Station videos and photographs taken while the ISS is on the night side of the Earth. Stars are rarely seen in Space Shuttle, Mir, Earth observation photos, or even sporting events that take place at night. The light from the Sun in outer space in the Earth-Moon system is at least as bright as the sunlight that reaches the Earth’s surface on a clear day at noon, so cameras used for imaging subjects illuminated by sunlight are set for a daylight exposure. The dim light of the stars simply do not provide enough exposure to record visible images. Sally Ride EarthKAM (Earth Knowledge Acquired by Middle school students) is a NASA educational outreach program started in 1996. The program, initiated by Dr. Sally Ride (May 26, 1951 – July 23, 2012), the first American woman in space, allows students to direct a digital camera aboard the International Space Station (ISS) to take photographs of specific places on Earth. The camera has been aboard the orbiting outpost since the first space station expedition began in November 2000 and supports approximately four missions annually. The program provides a unique educational opportunity for thousands of students multiple times a year. EarthKAM is an international award-winning education program, allowing students to photograph and analyze our planet from the perspective of the International Space Station. Using the Internet, students control a special digital camera on the orbiting laboratory to photograph Earth’s coastlines, mountain ranges and other interesting geographical topography. The Cygnus spacecraft is an American automated cargo spacecraft developed by Orbital ATK, an American aerospace manufacturer and defense industry company, as part of NASA’s Commercial Orbital Transportation Services (COTS) developmental program. Cygnus is the Latinized Greek word for swan and a northern constellation. It is launched by Orbital’s Antares rocket or ULA’s Atlas V and is designed to transport supplies to the International Space Station (ISS) following the retirement of the American Space Shuttle. Since August 2000 ISS resupply missions have been regularly flown by Russian Progress, as well as by the European Automated Transfer Vehicle, and the Japanese H-II Transfer Vehicle. With the Cygnus spacecraft and the SpaceX Dragon, NASA seeks to increase its partnerships with domestic commercial aviation and aeronautics industry.